This line array speaker system is designed for applications with high requirements on SPL, sound quality, throw distance, and dispersion. 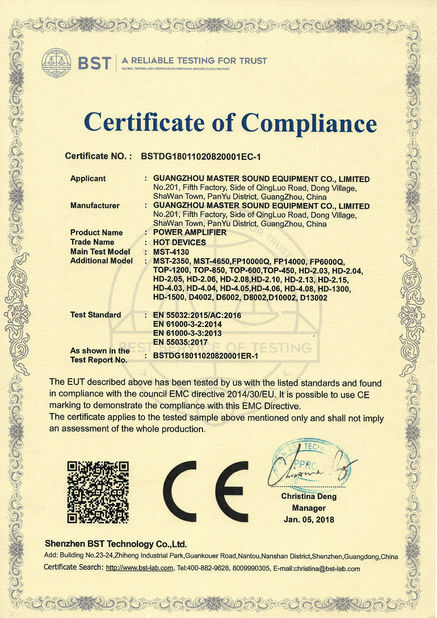 It can be used in both outdoors applications like touring concert and living show, and indoors applications like disco, nightclub, conference and church. LA-210 is fixed with 1pcs 1.4" HF and 2pcs 10" LF neodymium drivers. 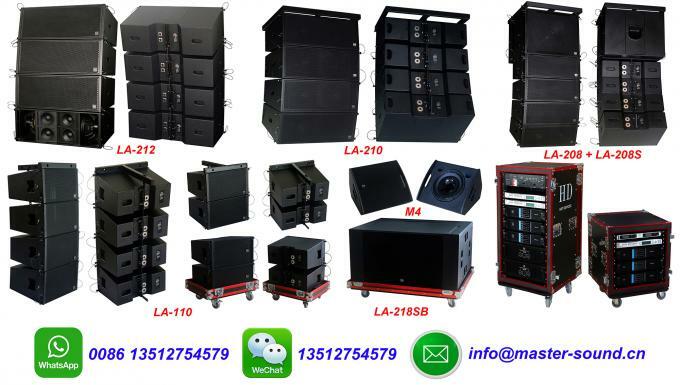 We pay close attentions on details like cabinet design, mesh grille, flying hardware, sound... LA-210 sound is clean, natural....and make you feel comfortable. The crossover mode is PASSIVE(with built-in crossover in the cabinet, and the crossover is fixed with AUDYN red Q4 series capacitors-the ones d&b, CODA, TW AUDIO and other big brands use in their loudspeakers). LA-210 is one full range speaker and the impedance of each speaker is 8 ohm. 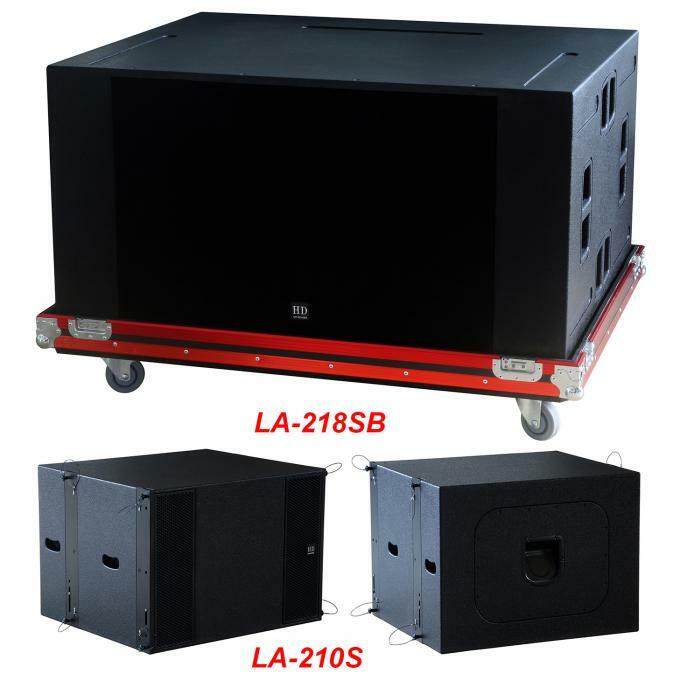 LA-210S & LA-218SB LA-210S is one 600W single 18" subwoofer with BANDPASS cabinet design. You can fly LA-210 together with LA-210S, you can fly LA-210 and stack LA-210S on the ground, or you can stack LA-210 together with LA-210S on the ground. 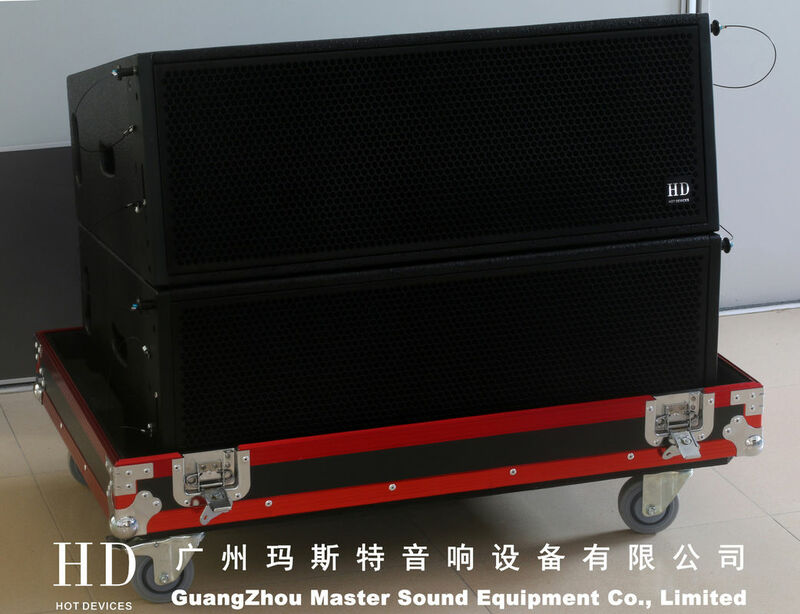 In outdoors applications, some customers want bigger power and big punch on the subwoofers, then, you can fly LA-210 line array speakers and stack horn loaded dual 18" subwoofers LA-218SB(1600W@4ohm) on the ground. To drive LA-210 + LA-210S or LA-218SB line array speaker system, you can use our most popular 4-channel switching amplifier FP 10000Q(our own model MST-4130: 4*1300W@8ohm and 4*2200W@4ohm) for LA-210 and LA-210S. For subwoofer LA-218SB, you can use our light weight 2-channel switching amplifier FP 14000(Our own model MST-2350: 2*2400W@8ohm and 2*4800W@4ohm) or HD-1300, HD-1500 analogue amplifiers. LSC36(3-input, 6-output) and LSC48(4-input, 8-output) digital signal processors are available for options based on the speaker system you order. 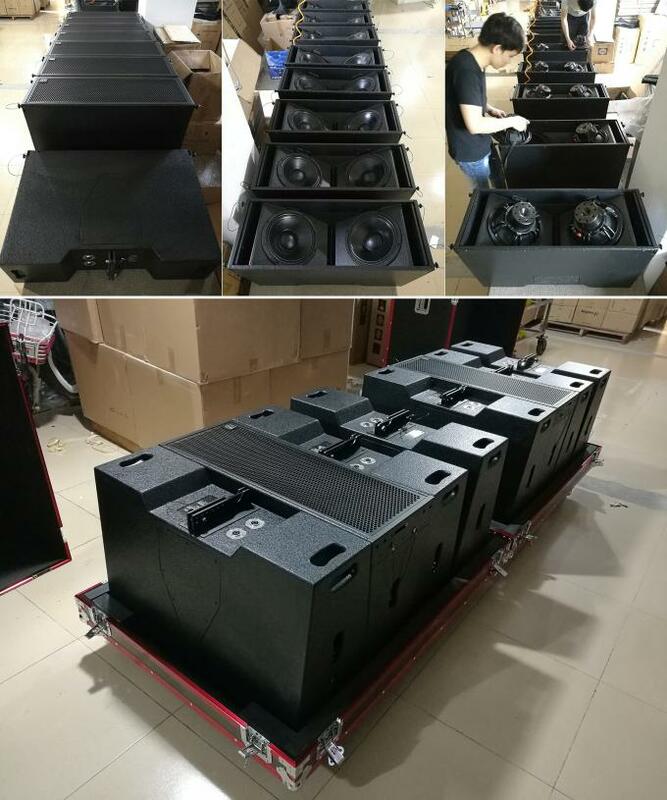 Let us know your detailed requirements on the system or tell us what kind of applications they are for, we will offer you one solution---send you one PDF quotation sheet with models,quantity and cost of the products(loudspeakers, amplifiers, processors, cables, connectors, flight cases, rack.....) for your project. Various packages are available for your different scale projects. 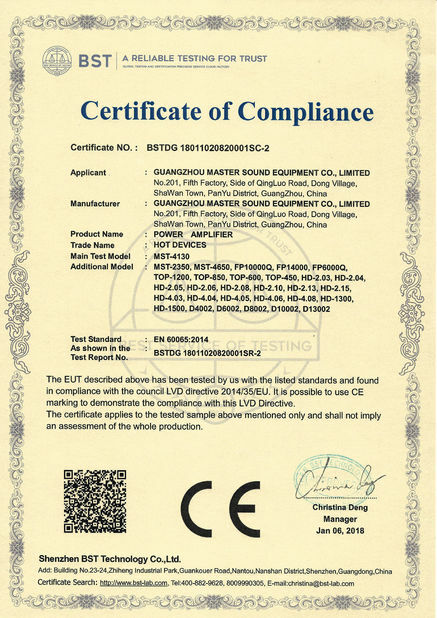 If LA-210 + LA-218SB system can not meet your requirements, you can visit our website to find other options like LA-212 + LA-218SB, LA-110 + LA-110S, LA-208 + LA-208S, LA-205 + LA-205S.